Daily Debate: Would You Play a Zelda Game with an Older Link? Now, it’s not clear for every Zelda game how old Link is, but he tends to be portrayed either very young or in his teens. I could see for some games even arguing he’s in his early twenties. Regardless, no matter what, he’s usually rather young, and already quite the fighter. But who’s to say he always needs to be shown that way? What if Link was middle aged, and quite the experienced knight? A General, perhaps, or a family man with children? Or what if he was older, with stories of Hyrule that would make the ladies of the court blush and the men enviously nudge him with a laugh? He could be thirty, fourty, seventy, however old, when the call to save Hyrule comes. He’d then have his expansive breadth of knowledge acquired in his years to form new strategies and techniques to take down the King of Evil. Would that be a game worth playing? What do you say? Would you play a Zelda title with an older Link? Let us know in the comments below! 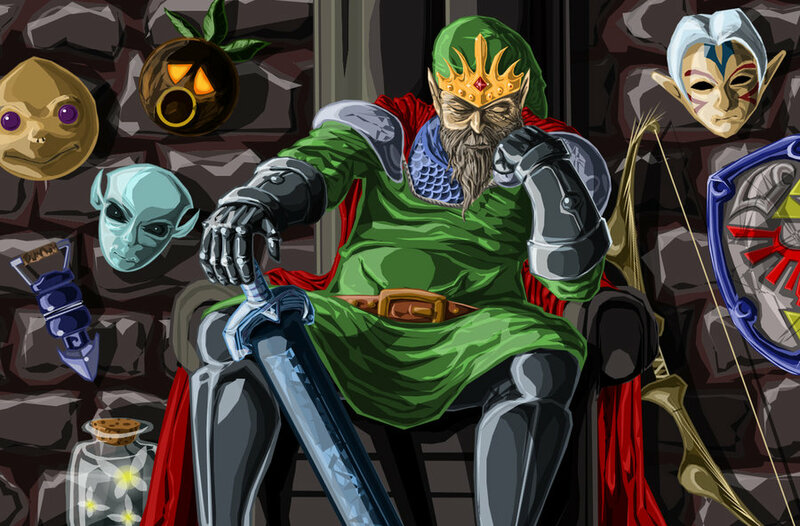 Featured image, “Old King Link,” by greyfoxdie85.